Capoeira Brasil was founded on January 14, 1989 in Rio de Janeiro by Capoeira Mestres (masters) Boneco, Paulão Ceará and Paulinho Sabiá. Today, it is an international cultural organization, recognized as one of the largest Capoeira groups in the world with schools in over 40 countries. Capoeira Brasil has its roots in the world-renowned cultural organization, Senzala, where the three founders trained and learned for many years under the guidance of innovator, Mestre Camisa. As graduated students and later teachers at Senzala, Boneco, Paulinho Sabia and Paulão developed their own distinctive Capoeira style, drawing from the teachings of legendary mestres like Bimba, Pastinha, Eziquiel, Leopoldina, João Pequeno, João Grande, and Itapoan. 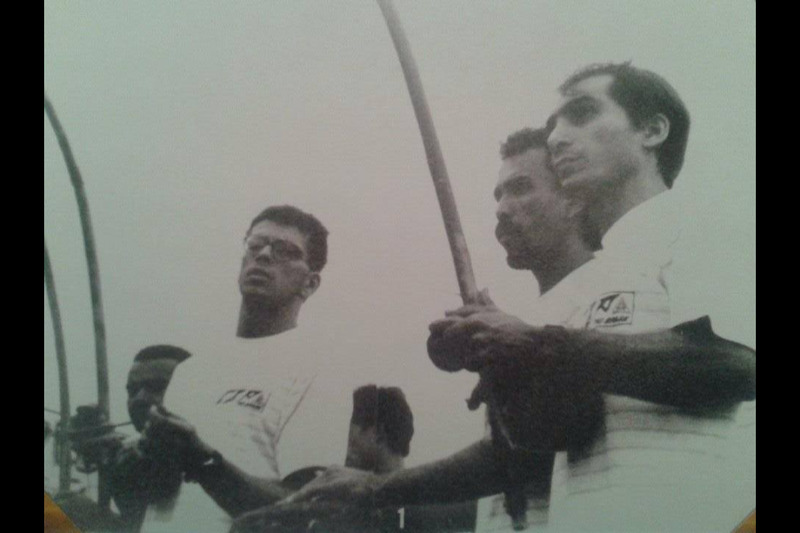 In 1989, after years of training, teaching, traveling and building their reputation in the Capoeira community, Boneco, Paulinho Sabia and Paulão made the decision to continue their work independent of their mestre and inaugurated Capoeira Brasil. The group’s inauguration was sponsored by a counsel of Brazil’s most respected mestres: Itapoan, João Grande, João Pequeno, Eziquiel, Suassuna, Mão Branca, Peixinho, Gato and others. Over the past three decades the group has grown tremendously, with teachers throughout the world. Internationally and locally, Capoeira Brasil is dedicated to sharing and preserving the rich culture and tradition of Capoeira. The organization strives to maintain the integrity of the art, as well as support its continued evolution and growth. In Capoeira as in most martial arts, you are judged by your lineage, your learning and connection to the roots of your art. Honoring tradition and history while celebrating Capoeira’s development is fundamental and at the heart of the Capoeira Brasil’s mission. Capoeira Brasil practices a style of Capoeira known as Capoeira Contemporânea (Contemporary Capoeira). This diverse and dynamic style is derived from the movements and methodology developed by the legendary Mestre Bimba as well as the traditional teachings of Capoeira Angola. It is a reflection of the art’s continuing evolution and a style widely practiced throughout the world. Capoeira Brasil Los Angeles (CBLA), the group’s Southern California home came into existence in 1998 when founder Mestre Boneco moved to Los Angeles. CBLA is dedicated to working in the Southern California community and serving its families. With a mission to promote self-confidence, respect, and tolerance through athleticism and culture, CBLA has various initiatives and programs in place. The organization celebrates unity through the movement of Capoeira, underscoring the centuries old connection between African and Latin cultures. Capoeira is an art that unifies and strengthens, bringing people from all walks of life together. It is an art of transformation, fostering a connected and creative community and encouraging healthy living. CBLA also has locations in Northeast Los Angeles and in the valley. For information about other Capoeira Brasil locations, check our link page. For more information on our group, please feel free to contact us directly.